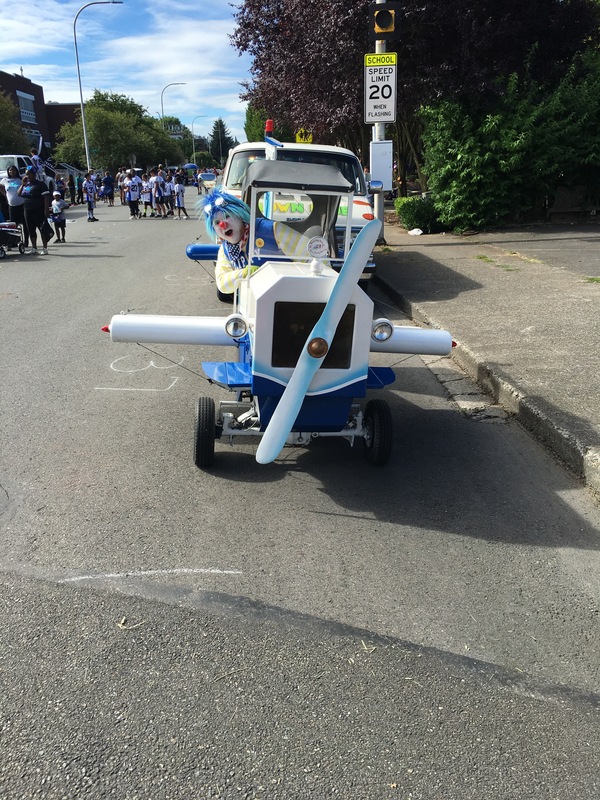 Let’s just say there’s nothing more satisfying than being able to drive the clown plane in a parade. 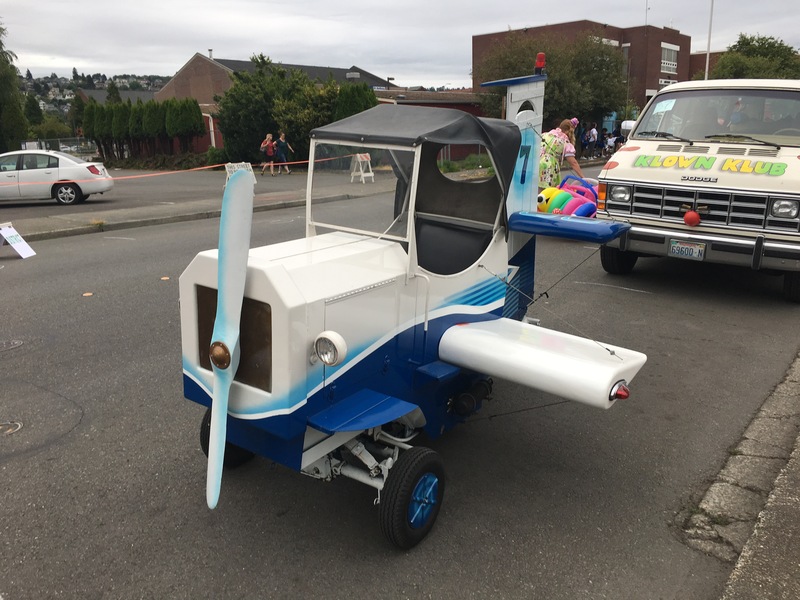 Errrr… maybe if it could go over 5 mph. Have you heard? The latest American Horror Story is going to feature a cult where everyone dresses up as creepy clowns. Ryan Murphy must have hit on a surefire thing. After all, two seasons ago he did a carnival-themed season where he debuted the scary Twisty the Clown. Why have one creepy clown when you can have many? And honestly, we need to stop worrying about that. I got back from a gig a while ago where everyone in my clown group seemed to be on the defense. 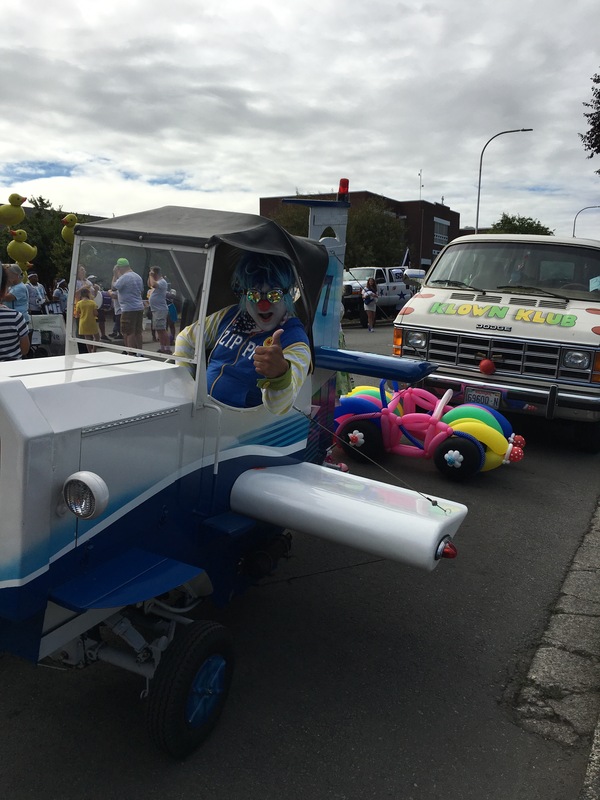 One person tried to allay fears by going, “Real clowns don’t wear masks. The people who are creepy clowns wear masks because they don’t want to be seen.” Which… I suppose is fair but doesn’t get to the heart, really, of why people are a little creeped out by clowns. To which I replied, “Let them. It doesn’t matter. It’s their picture: they can post whatever they want.” Because ultimately… what does it matter? So they took a picture of us. Big deal. If they want to say we’re being creepy, then that’s totally fine. In a way, we made their day. After all, what is a clown’s purpose but to entertain? Did we not entertain them while we were driving down the road? For all the speculation about what they may or may not do with the picture they snapped… they still were laughing and smiling and sorta having a good time. Look: I personally haven’t seen my own face on such photos, but I have run across Instagrams of several members of our own group with the “creepy clown” caption. In the long term, it really doesn’t matter that the picture did get posted. Do you know what did matter? Being a cranky sourpuss who doesn’t want their picture taken because someone’s going to slander you. That’s not what a clown is about. People read that attitude and they get that body language. They know you’re being depressing and ticked off. And ultimately, that, more than anything, leads to a reinforcement of the “creepy clown” image. And that’s the heart of it. Put on a great attitude, one that puts everyone at ease, and you’re not one of those clowns they’re scared of. After all, literally anything out there can be scary. A homeless man pushing a cart down the street is scary. But if you put them at ease… they you did your job. And like I’ve said before, you can work it to your advantage. When someone realizes that the thing they were scared of what just some nice dude wearing way too much face paint… well, that’s the biggest gag of all. So this is making the news: creepy clown sightings in South Carolina. The first thing that strikes me: how lazy news outlets are at picking stock footage. I mean… come on, Fifth Estate. Are you really going to be posting photos of the International Clown Convention in Mexico? Of performers who just want to bring joy and merriment to children with delightful antics? Posting clown-themed cosplayers from a comic convention would be way more appropriate… but, you know, cosplayers might get angry. 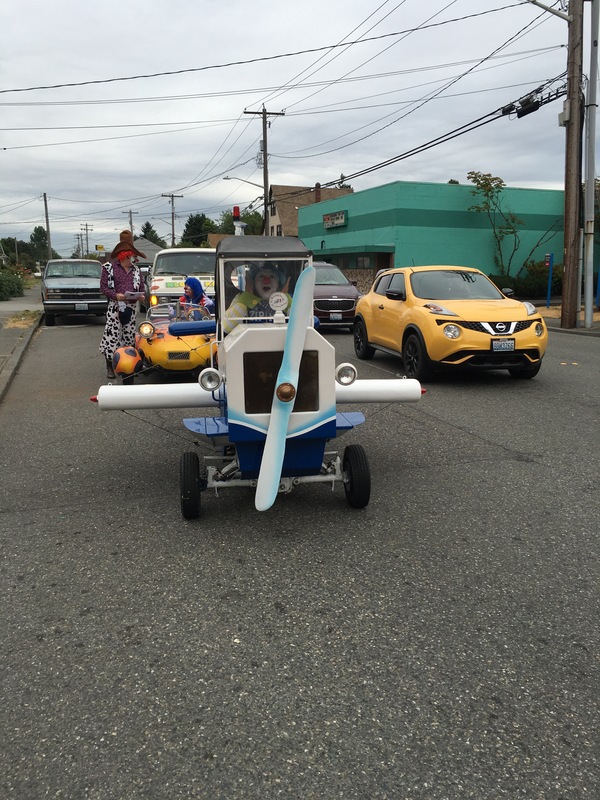 Clowns… we’ll just squirt you with water from a flower and then honk a bicycle horn or something. Secondly, apparently someone has a photo of the guy. And I gotta say… that costume? That is some Party City garbage. How does he expect that to last? I mean, let me tell you… I started off wearing Party City style clown outfits, and while they’re fine at first, they don’t really let you move. The stitching is abysmal, but that’s what you get when you order everything from Oriental Trading. Do yourself a favor, South Carolina clown guy: pony up for a decent outfit at Mooseburger Originals. The clothes fit well and are long lasting. My original clown pants were discolored in the wash, which was my fault… but I still reuse them because the material is top notch! You can use it when you’re kicking back in your cabin in the middle of the woods, or when you’re driving around in your black car, or when you’re paying Pokemon Go! Yes, I know what you’re saying… it’s pricey. But Rob Zombie seems to be doing pretty well for himself, and he can front you the cash. Finally, we cannot discount that this clown is just confused and disoriented. He is in the South Carolina woods, after all! They’re famous for being home to gators and pirates and chupacabras. What’s he going to do when he gets lost? I mean, he probably offered those kids cash so he could get an Uber home. Instead it’s just some of that good old South Carolina hospitality: shotguns to the face. I can understand sticking that in the face of the revenuer, but clowns are just as afraid of you as your are of it. Just sit him down, talk with him, and see if you can get him back to his clown family. 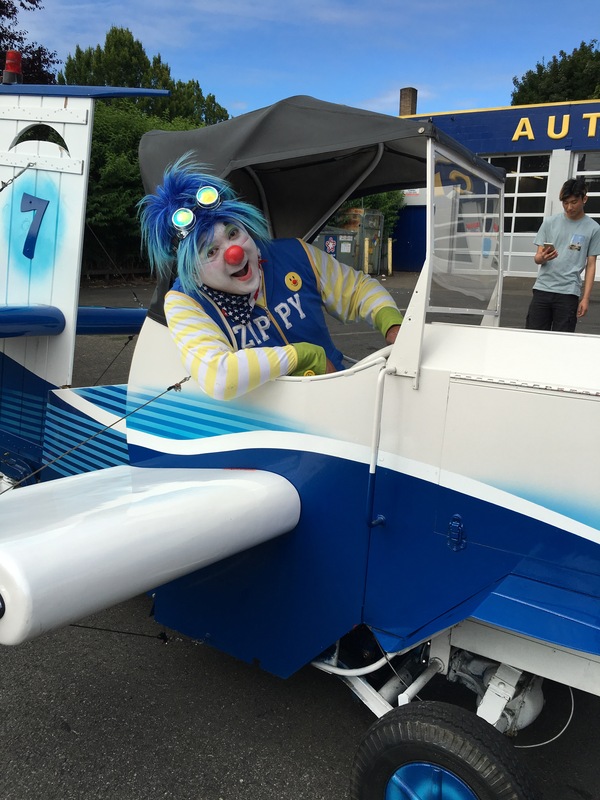 From Challenge Air to LUNGevity, Zippy’s been clowning it up! After some time off, I am getting back in the clowning groove. Here I am at the Mom and Me at the Zoo event on Mother’s Day! Check out this sick juggling, fellas.